I wrote the following post last week but I've held it close while I've allowed surrender to settle in my soul. 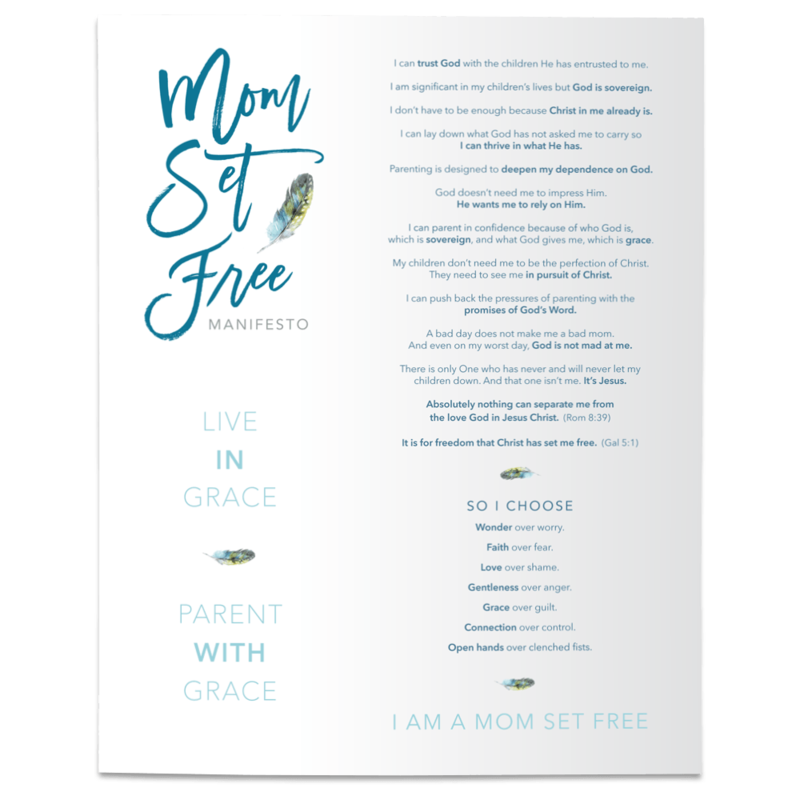 It is with a thankful heart that I set this blog free today and confess that while there are a lot of things I do not know, there is one thing I do know with certainty– All is grace. There are a lot of things I don’t know. A lot. And there are even more things I get wrong. But just as there is much I don't know, this I am sure of ~ Everytime I try to be the mom I want to be without letting Jesus live through me, I totally muck it up. Me without Jesus is a fast moving train wreck. The more my eyes are opened to "all is grace" the more I grow in my awareness of how very much I need Jesus yesterday, today, and tomorrow..... and how very much grace He still has to lavish on me. Endless grace. And it’s not long after I roll out of bed that I’m reminded of this truth. I don’t get far in my day before I’m reminded that if it weren’t for Jesus, and what He has already done for me, I’d be doomed. But because of Jesus and what He has already done for me, I have hope. This doesn’t mean that I get to go on sinning so that I can become even more aware of how much I need Jesus. (Romans 6) No, it just means that there is fresh mercy for every moment- which makes my heart want to love and follow and do Thy will even more. That’s what grace does. It melts our hearts. It stirs conviction and repentance in our souls. Shame makes us want to hide our faces and flee from Him presence but grace- sweet grace - makes us want to run to Jesus for a fresh dose of mercy and a heart transformation. It sets us free to admit our sin and weakness because Jesus already lived a perfectly sinless and courageous life on our behalf. Grace does that. For the grace of God has appeared that offers salvation to all people. It (GRACE) teaches us to say “No” to ungodliness and worldly passions, and to live self-controlled, upright and godly lives in this present age, while we wait for the blessed hope—the appearing of the glory of our great God and Savior, Jesus Christ, who gave himself for us to redeem us from all wickedness and to purify for himself a people that are his very own, eager to do what is good. It is grace that teaches us to say “no” to the sins that plague us and inspires us to raise our white flag in surrender to the transforming power of the Holy Spirit within us. See, I can tell you that at this very moment I am keenly aware of how much I need the Holy Spirit to do a work in my heart that I am incapable of doing in myself. No matter how many times I “decide” or “choose” or “set my mind” to being a more patient and slow to anger kind of mom, I canNOT do it without Jesus. I blow it on my own. I blew it this morning. I was a mom on "sin patrol" this morning, only seeing what they couldn’t seem to do right. I missed some precious opportunities to adore them - all reminders that I need more than just the DESIRE to reflect the Father’s heart to my kids, I need His POWER. The guilt, the shame- it comes quickly (doesn’t it?) when we aren’t the kind of parent we so desperately desire to be. And while it’s vital for us to recognize our sin for what it is, to lay it before the Lord, and to offer our repentant hearts, let us not forget that in that place of repentance is complete and unconditional forgiveness. He is glorified, even in the offering of our sin. And He has already won the victory over our sin. He has freed us from the chains that bind us and the sins that plague us. We are free to obey from our grateful hearts, not from a place of trying to earn God’s approval and favor. We are free to be imperfect because He was already perfect for us, and He now covers us with His righteousness. He makes us right with God. Grace freely extended to us through His death and resurrection sets us free from the burden of trying (in vain) to be the perfect parent……and grace inspires in us an insatiable longing to parent as an act of worship. Parenting as act of worship. I remember the first time I heard parenting described that way. It struck a chord in my heart – the realization that I can worship Jesus in how I parent my children. Detoxing from my old ways is very much a process. Remembering that I cannot make my kids obey me any more than I can make my own heart obey my Heavenly Father does not come easy. We cannot force transformation in ourselves but we can surrender to the One who delights in transforming us. And we cannot force transformation in our kids, but we can surrender them to the One who delights in transforming them. It is not guilt, fear, or shame that changes our hearts, it’s grace. Only grace can reach the most vulnerable places – those places we are fully aware exist and wholeheartedly wish did not. Only the unconditional love of Jesus can penetrate those places, and bring true transformation. And true daily heart transformation is what I so desperately need. I’m praying that prayer today, and I know He will delight in answering it. You fathers—if your children as for a fish, do you give them a snake instead? Or if they ask for an egg, do you give them a scorpion? Of course not! So if you sinful people know how to give good gifts to your children, how much more will your heavenly Father give the Holy Spirit to those who ask him. If you would like to receive an email notification when I post new blogs, please click here to subscribe.